This Canadian Pacific freight train just west of Montreal is in the hands of a couple of veterans. 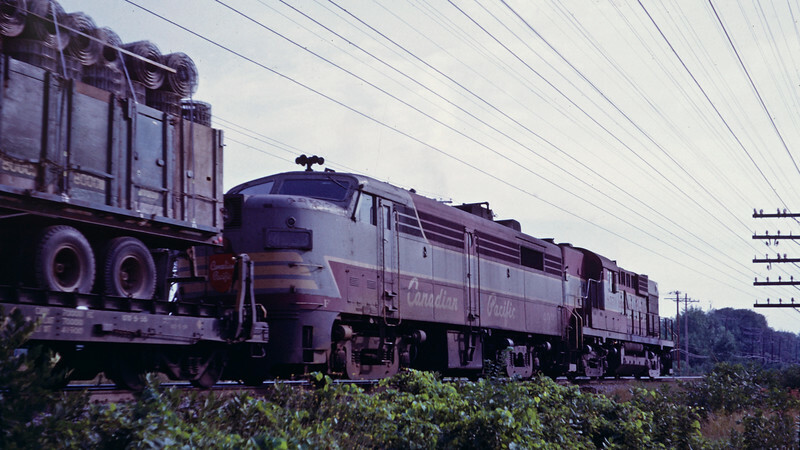 Leading the way is what looks to be an Alco (Montreal Locomotive Works) RS-10, followed by an FA, both in the original CP paint scheme. I doubt the loading technique utilized on the trailer on the first TOFC flatcar would pass muster with today's inspectors.